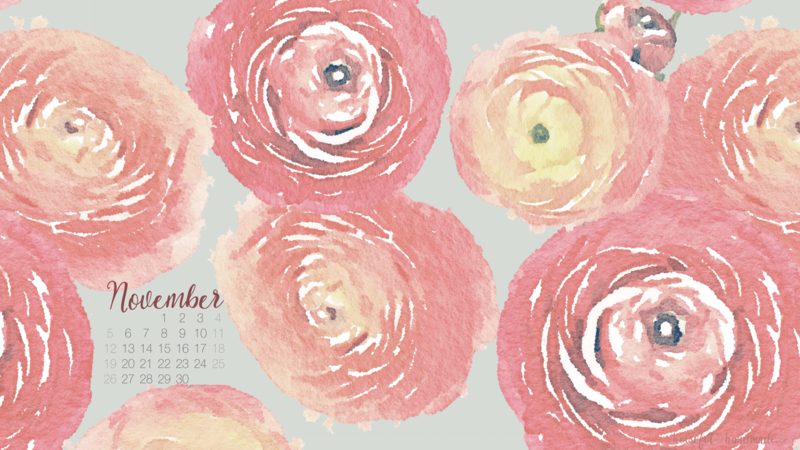 Download these free digital backgrounds for November today. 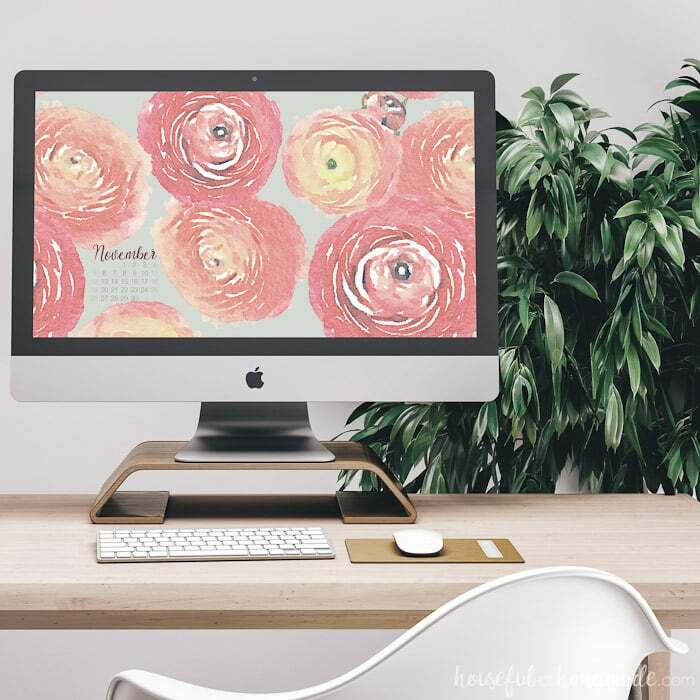 The beautiful wallpaper with calendar will help you stay organized as you plan for the holidays ahead. 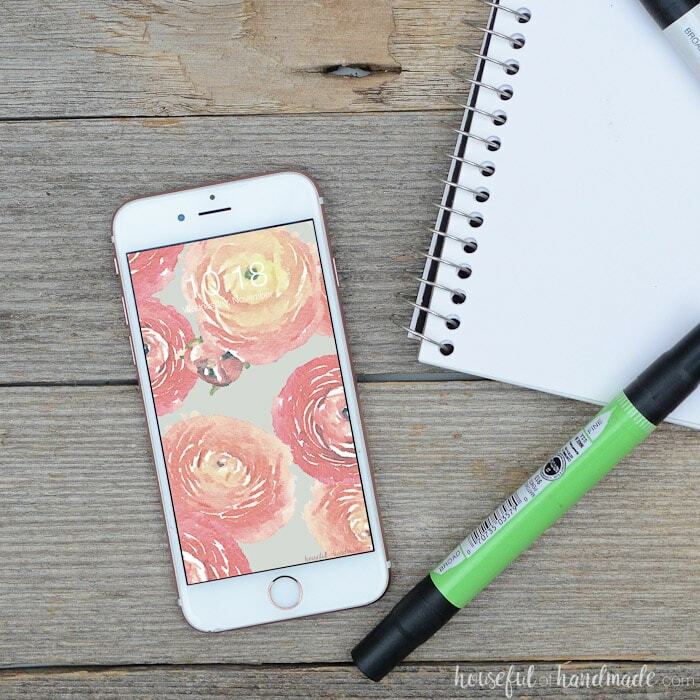 These free digital backgrounds for November are the perfect way to add a little decor to your electronics. 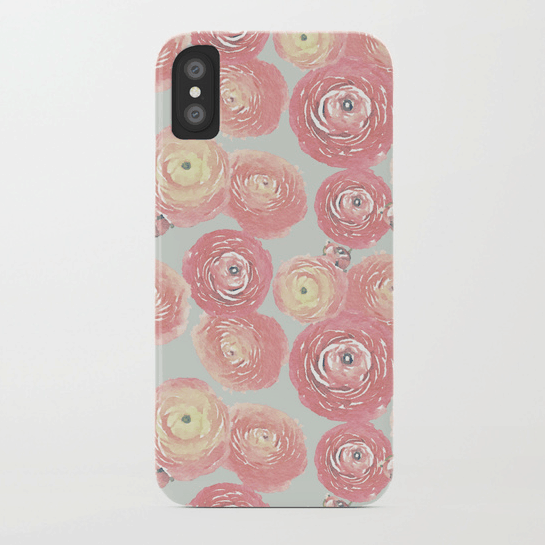 The soft floral design is perfect for your smartphone or computer. And the option for the monthly calendar helps you stay on top of the busy season. 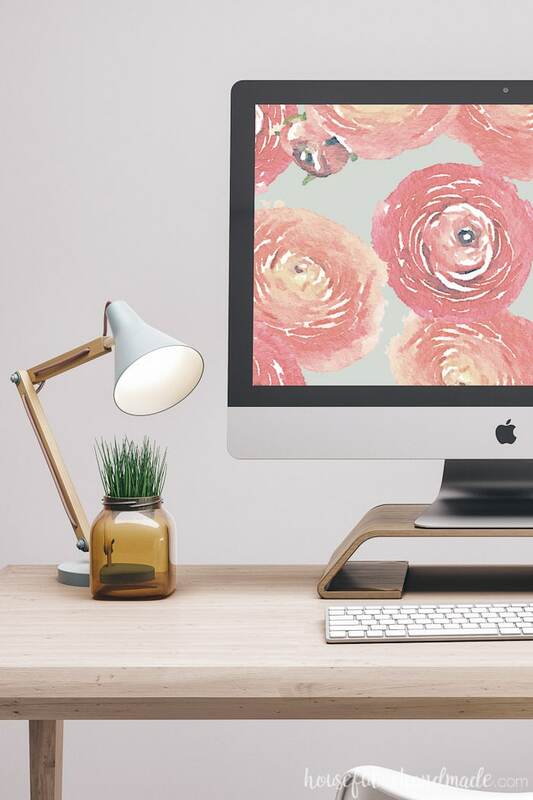 Download the digital wallpaper today! October has come and gone and now the year is almost over. Only 2 more months until 2018! But let’s not rush past all the goodness that November has to offer. I love the cozy comfort of November. The mornings sipping coffee in my slippers. The smells of warm meals cooking all day. The joy of a family gathered on Thanksgiving. And November is also my husbands birthday so we get to add in some extra fun! 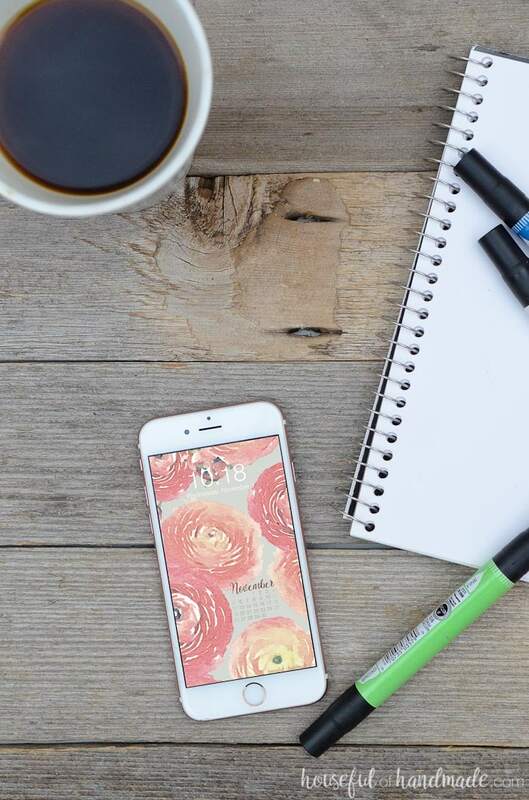 And now that all the trees have lost their leaves and I know the snow is not far away, it is time to change up the wallpaper on my iPhone from my favorite leaves print. 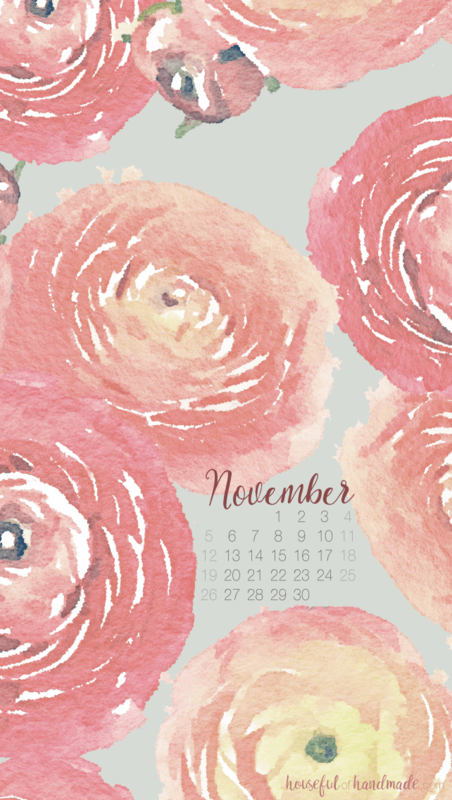 But I am not going to lie, I had an extremely hard time deciding what to do for the free digital digital backgrounds for November. I have been all about leaves this year, but I didn’t want to do more leaves. After no other ideas though, I did try to create another leaf print. But I am learning I cannot force it. So I thought about pumpkins, no inspiration! I thought about buffalo check, no inspiration! I thought about sweaters and acorns and all things fall. 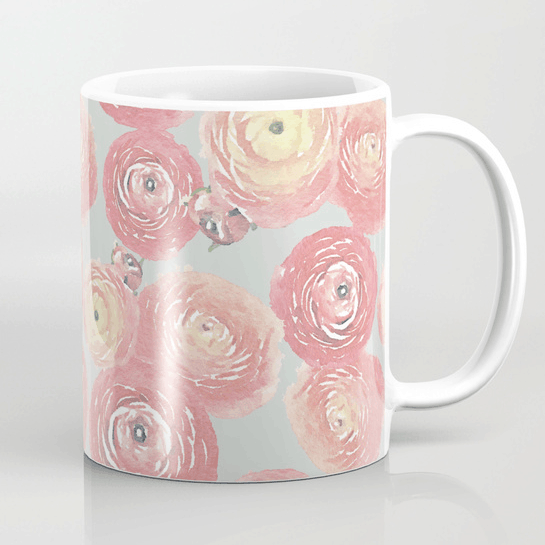 Then I thought about flowers and the magic happened! 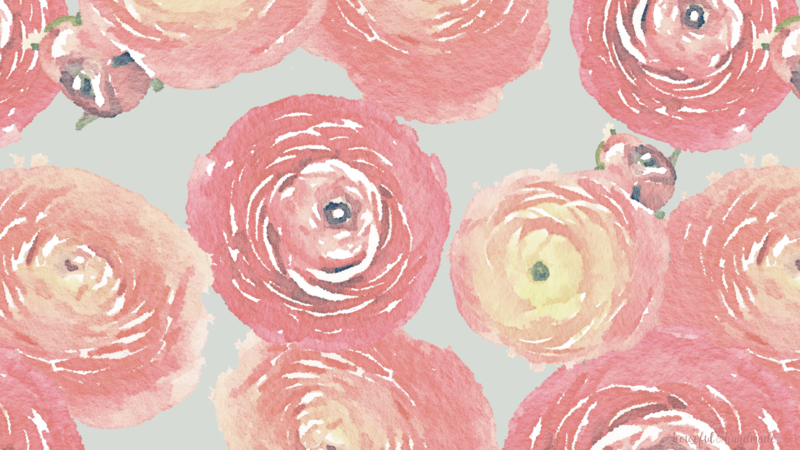 Maybe I just needed something soft and pretty for the free digital backgrounds for November. I tried to keep them perfect for fall with the soft orange colors (just like the leaves outside). But even though this month’s digital wallpaper doesn’t scream “Hey everyone it’s November!” at least makes the think of beautiful cozy fall days with the family. 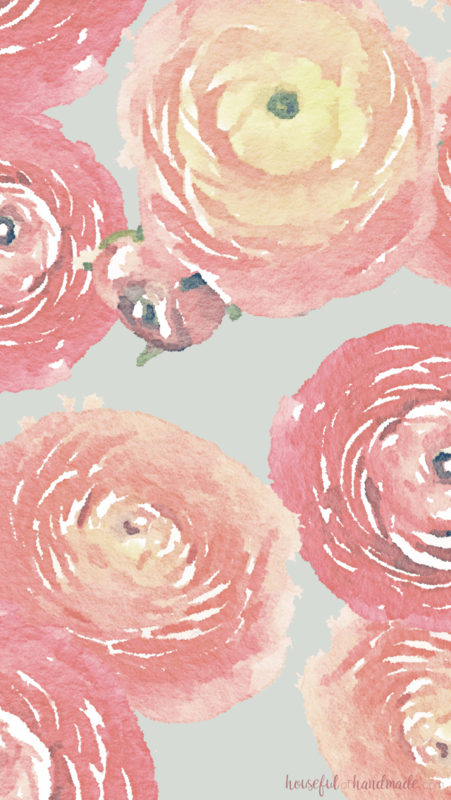 If you want to download the free digital backgrounds for November, click on the link (or links) below. 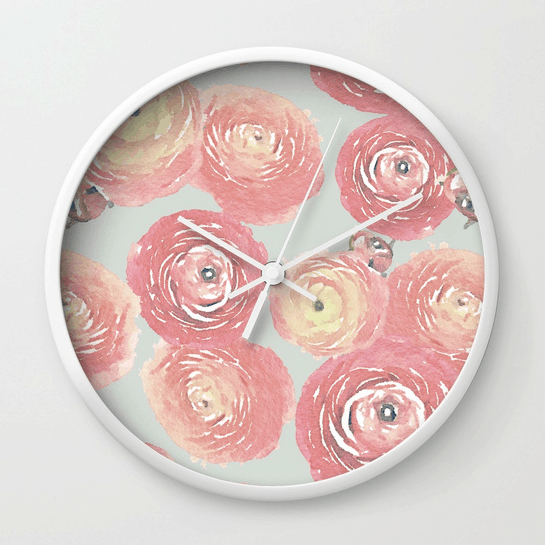 Love this design? 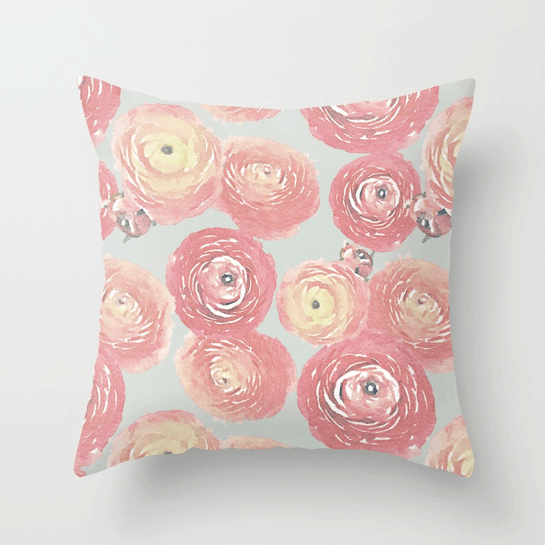 Check out my Society6 shop for beautiful ways to add it to your home.